Pairing the more complex Warrior Vest with a simple bra top and brief (left) will cost less than pairing it full body unitard (right). The biggest factor in cost has to do with the amount of coverage or fabric used with your base components. Base components include things like sleeves, bodices, shorts or pants, and skirts. Basically, the more fabric or coverage, the higher the cost. For example, a floor length skirt uses more fabric and will cost more than a shorter mid-thigh skirt. Save money in this area by: simply having less coverage. The Warrior Vest shown above is much more expensive when paired with a full body unitard ($311 on the right), than with a bra and brief ($140 on the left). Other cost saving examples include changing a legging to a short, removing a sleeve, or shortening a skirt. Trim on the Opulence Cheer Dress, straps on the Charlene Leotard, and blocking used in the Wednesday. Trim is a strip of fabric used as edging or to create lines, like on the neckline of the Opulence dress above. Straps include camisole straps as well as accent criss cross straps, shown on the Charlene leotard above. Blocking is when your base pattern piece is cut into different fabric sections or "blocks." The Wednesday unitard, above, has blocking on the bodice with four different fabrics. The more trim, straps, or blocking you have in your garment, the higher the cost because each piece adds an additional charge to cover additional labor time. Limiting the number straps, blocked pieces, or non-essential trim. Choosing modern and minimal designs that don't have a lot of pieces - simple costumes can still look bold! Sublimating your garment with a graphic design to create the illusion of blocking or different fabric textures. For example, in the two costumes shown below, the blocked flames on the right are more expensive than the sublimated mesh overlay on the costume on the left, but both have very similar looks. The leggings in the image at the top of this post illustrate the same concept. The leggings on the left are sublimated and achieve a very similar look to the blocked and more expensive leggings on the right. 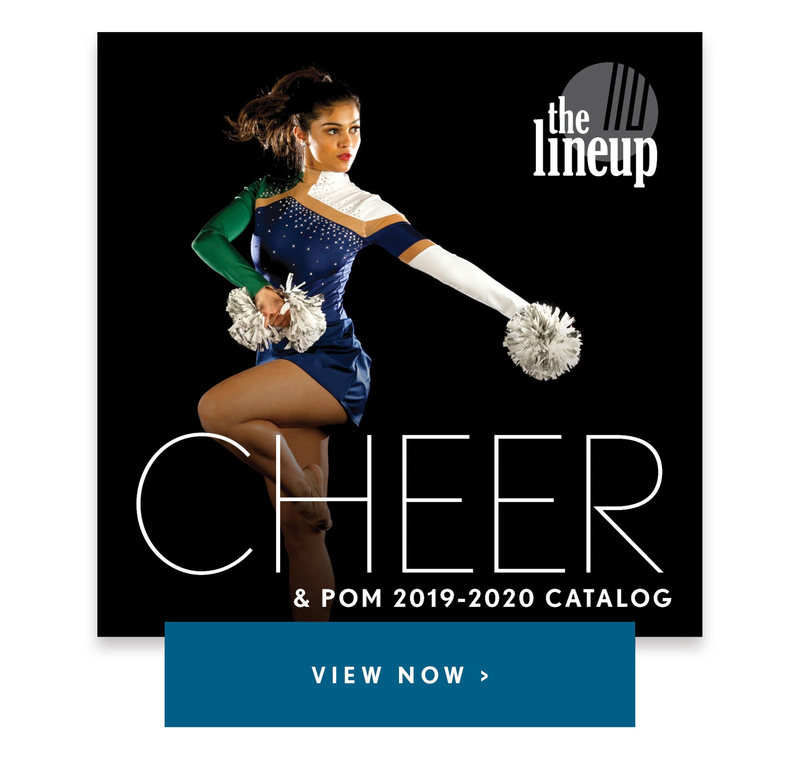 The Fire and Ice Pom Dress (left) uses sublimation to give the illusion of flames, while the custom unitard on the right uses scalloping and blocking with many different fabrics. Raelyn (left) with one skirt layer, and Raelyn Skate (right) with 3 skirt layers. Layers include linings, skirt layers, or layering a sheer fabric over another fabric (like lace over a hologram fabric). The more layers of fabric used on your garment, the higher the cost will be. For example, a two layer skirt is more expensive than a single layer skirt, because you essentially have double skirts, and will be using double the amount of fabric. Most costumes are lined for modesty in the front bodice, or when light colors like white or ivory are used, so that your costume isn't see-through. You'll also want to line your garment when you're using certain scratchy or uncomfortable fabrics like sequin encrusted Zsa Zsa. Save money in this area by: eliminating layers or linings, if you feel comfortable! Know that it is best to eliminate linings only with dark colors that you can't see through, and not with light colors or scratchy fabrics. You can also choose to have a one layer skirt instead of a two layer skirt, like the Raelyn above, but know it comes with the trade off of a more sheer skirt if you are using mesh. Online style Savannah with a working belt and zipper, and 556-9 Harem Pants with faux zippers. Hardware includes things like zippers, buckles, and belts, as well as how you choose to secure your garment closure - like a keyhole back versus a zipper back (shown below). Functional zippers and working belts add the most amount of cost in this area. Save money in this area by: Swapping a functional hardware for "faux" hardware. For example - change a belt with a working buckle and grommets into a waistband. Or use zipper tape as an accent without an actual pocket behind it, like on the harem pants shown above. Also, the most cost-effective thing you can do for your dance costume is to choose a keyhole closure instead of a working zipper! Roseangela (left) with a keyhole closure and Cora (right) with a zipper. Both pockets and vents can add an additional layer of functionality, but also add costs due to an additional layer of construction complexity. Vents are side slits in tighter fitting skirts, like shown on the 690-11J High Waist skirt above. They are usually used to allow for better ease of movement, and keep your skirt from riding up while performing. Pockets can be both practical, like in jackets and warm-ups, as well as decorative, like on the style Major, shown above. Eliminating vents and choosing a fuller skirt instead of a form fitting skirt. The fuller skirt will still allow for ease of movement and modesty. Creating a faux pocket instead of a functional pocket on your dance costume -they will look the same from a distance! On the style Major, above, the illusion of a pocket was created by blocking in a piece of sequin fabric. It looks like a pocket, but there's not actually a pocket there! As you can see by the examples above, the greater number of construction details used in a custom costume, the higher the cost will be. You can save big by eliminating design details, creating the illusion of more expensive details, or by being strategic with your costume design from the start to stay within budget! A good designer will help you save while still achieving your design vision! 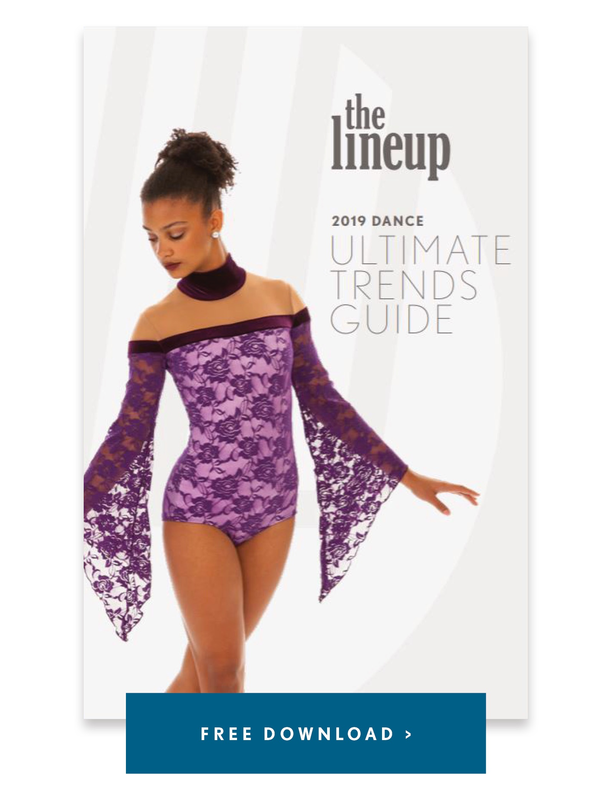 The above covers the construction details that can add cost to your custom dance costume- below are some other factors that will affect How Much Does a Custom Dance Costume Cost? Amount of Garments Being Ordered: The more garments you order, the higher the group discount!